Last December, Soph and I were planning a trip to Carrizo Plain National Monument. It was going to be cold, so I decided we were going to drive out there and sleep in the car. I wondered how stuffy it would get, so I'd probably want to crack the windows. Then I started wondering if bugs were going to get in. 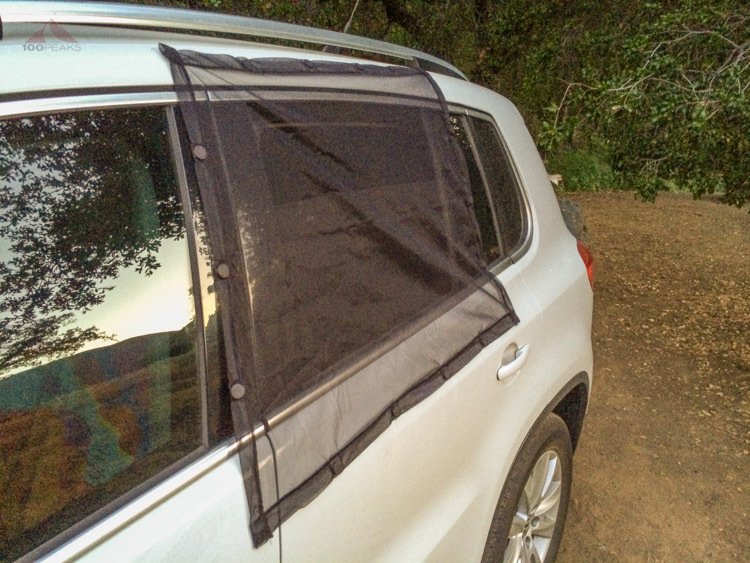 In a moment of brilliant clarity, I dreamed about inventing a product where magnets lined a screen that I could place outside my car, thus keeping my windows open for the night, providing ample circulation. I even starting researching wholesale screen products, possibly even made out of recyclable material. The weather outlook turned very cold (in the teens with possibly snow) at Carrizo Plain NM, so I decided to cancel that trip. It was then that I received a friendly email from Mona at The Skeeter Beater. They had invented my exact idea before I even thought of it and wanted to know if I was willing to try it out. We chatted about camping and how great minds think alike. We both had enjoyed the outdoors with our children. I received the screens in the mail, but wasn't able to use them for months. This May, on my trip to Davy Brown Campground, I was finally able to use them. 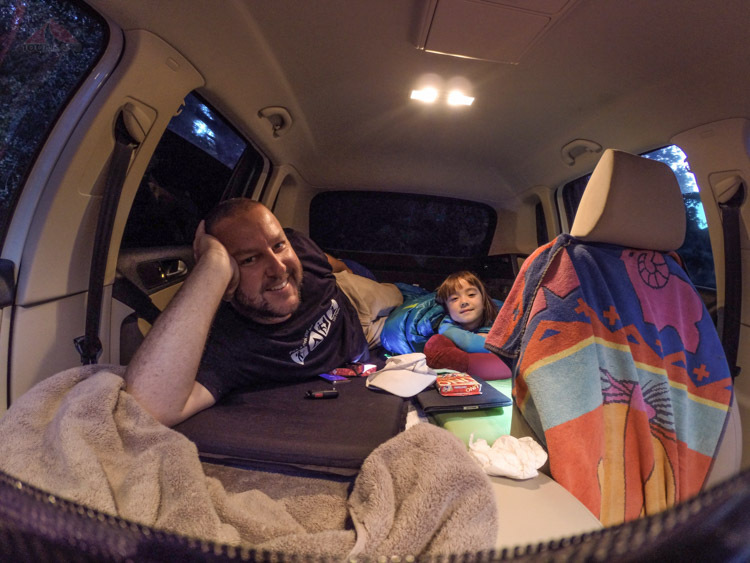 Sophia insisted that we sleep in the car instead of a tent. The flies were pretty ferocious, then the mosquitoes came. As a result, we decided to turn in early and get comfortable in the car. To get the Skeeter Beaters set up, it only took me about one minute per side and the screens were up. They weren't a perfect fit, but that didn't matter at all. I just made sure they were big enough to cover the window openings. They are pretty simple, but effective. Since I don't have a full metal frame around my doors (it is aluminum), I couldn't open and close the doors without pulling the screen off the roof. If I needed to open the door, I would just toss the top half into the window, get what I needed, and re-attach the screen to the roof when I closed the door. We slept all night with the rear windows open and not a single bug got in. I even got up at about 4AM to close one of the windows, as it was getting chilly and the screen didn't get in the way of it closing. Now that our first car camping trip was a success, Sophia wants to sleep in the car again. I am sure we will be getting some use out of them in the future. Special thanks to Mona for supplying me with free Skeeter Beaters to try out. I try to provide honest opinions when it comes to gear reviews, but I couldn't find anything wrong with this product. It even came with a little carrying bag. I am sure these would be even more effective in the South or places like Alaska, where mosquitoes are numerous and/or large. You can find out more about Skeeter Beaters at their website.